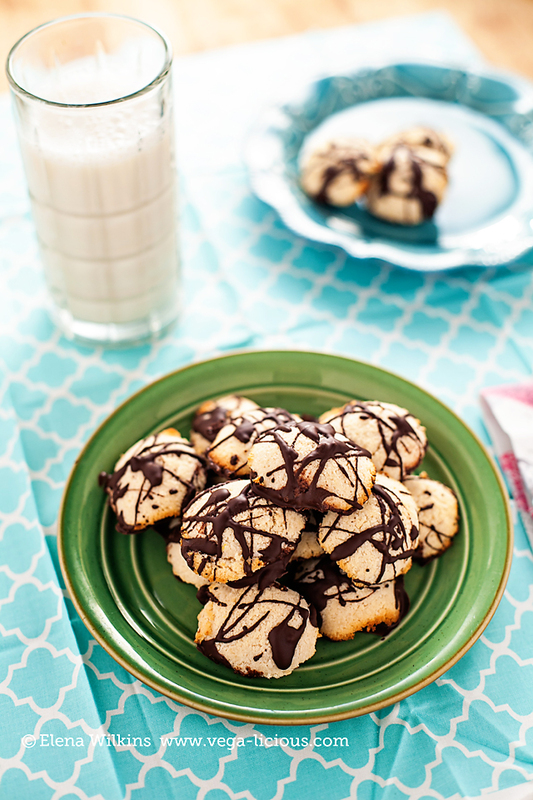 Christmas is just around the corner, so the demand for holiday dessert recipes is going up. But who has time to bake? 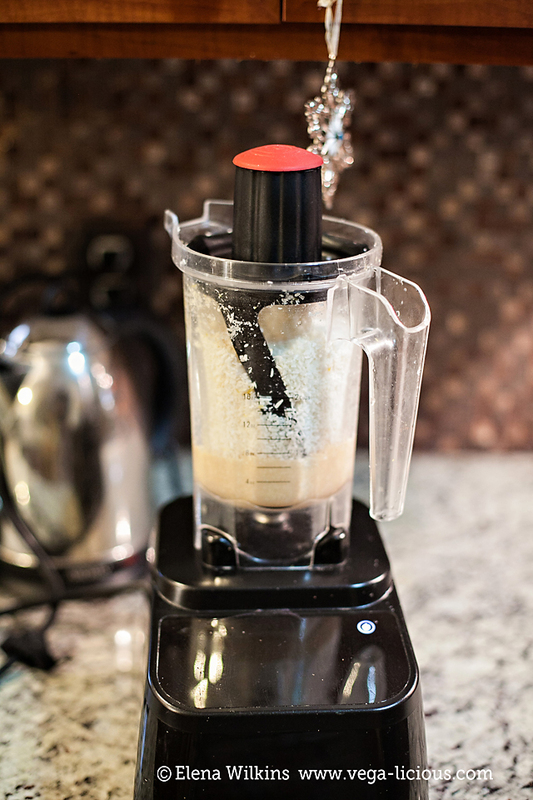 The simpler the recipe, the better it is! And just think how much better it gets, when the recipe does not have loads of sugar, eggs, butter, processed junk and other sort of shenanigans you would not want to find on your plate…or your hips. When I was a kid, before we immigrated to the US, I was the queen of baking in my family. I do not know what it was, but once we landed in America, my desire for baking seemed to have waned. By the time I changed my diet, going plant based, I barely ever baked at all. It seems that my taste buds, thank the heavens, are predisposed to liking savory and salty foods–one less thing to worry about, especially since my husband is exactly the opposite and could have sugary treats daily, so someone has to keep the sanity and health in our household in check. This, however, does not mean that I don’t enjoy a bite of an occasional treat, or that I don’t want to please my family, and you–my amazing, dessert loving reader. 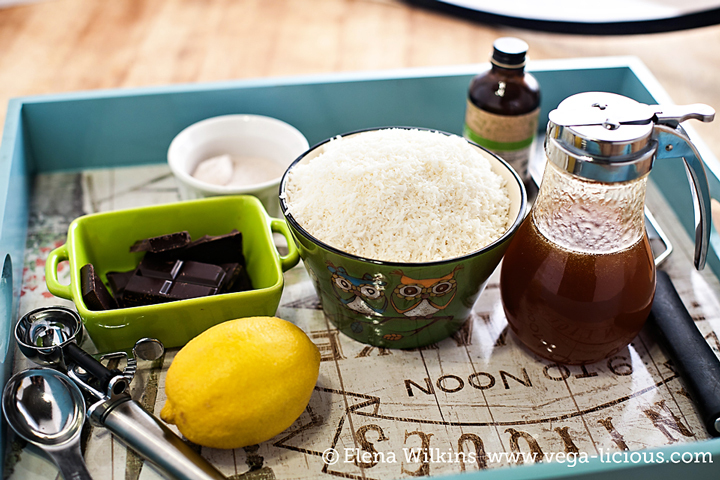 So, I dedicate some creative space in my head to think about healthy (or healthier) desserts. Macaroons, although I’d never tasted a “real” one, always looked pretty enticing to me. They look adorable! Don’t they?! The perfect round shape, different colors, a slightly jagged edge–simply picture perfect. 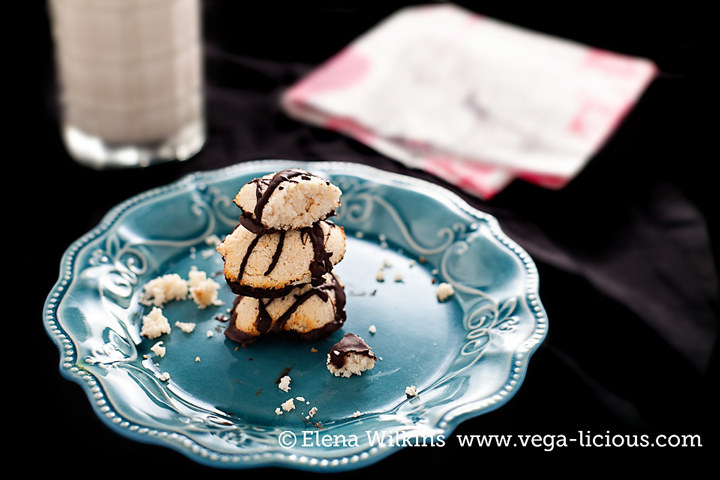 One day, I can’t remember when or how, I came across the idea of coconut macaroons. 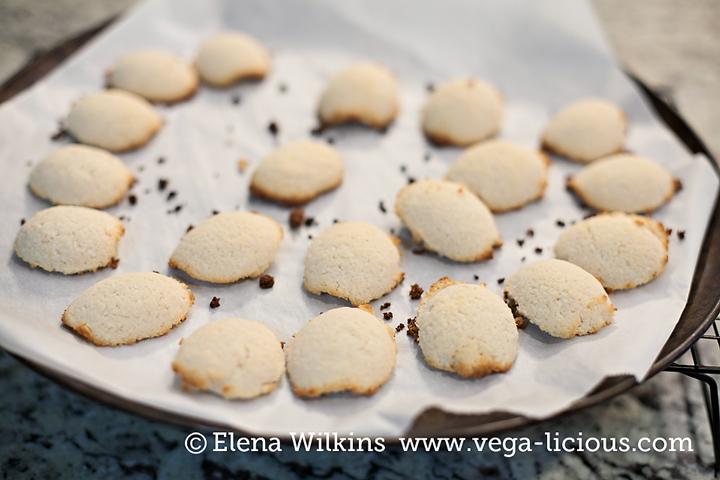 So, I decided to give it a go, try making coconut macaroons, and keep them as healthy, and with as few ingredients as possible. I was able to keep it down to 6 ingredients! Hurray! 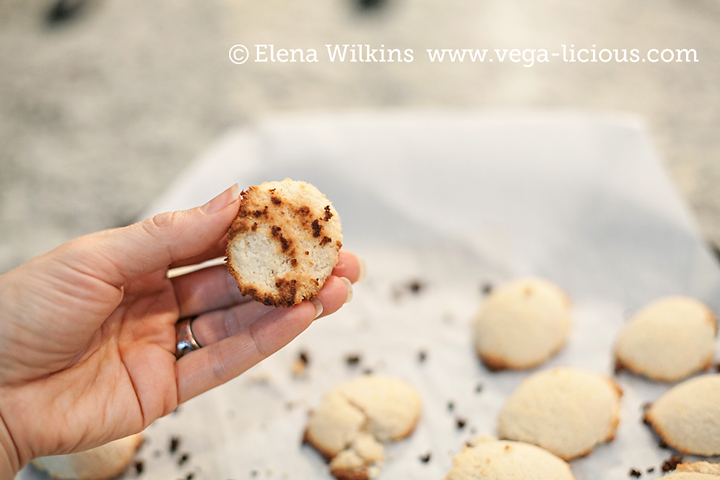 I tested the macaroon recipe I created several time–on my kid and husband, on my mother and sister, then in a cooking class. The consensus was the same–they were good! You know what that means, right? That means that I can now share it with you, being at peace that you will love it too. The rest will be EASY–that’s unless you have little ones running around, like me. If you do, be mindful that they will probably tackle you down to eat the macaroon”batter” before it ever has a chance to be baked to become the finished product. 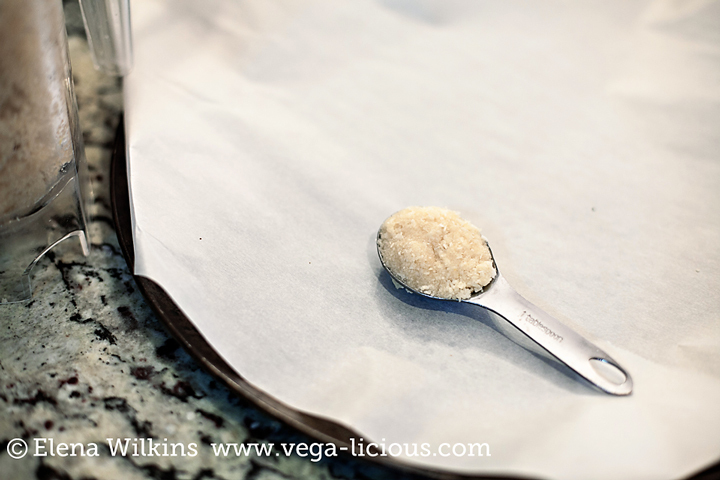 I am including the HOW TO video for this recipe below, along with a printable recipe, you will see just how addicting the batter is for tiny taste buds–Sprout did not leave my side for a minute while I was making macaroons! The great thing about this, however, is that you can feel totally guiltless letting your child indulge a little. 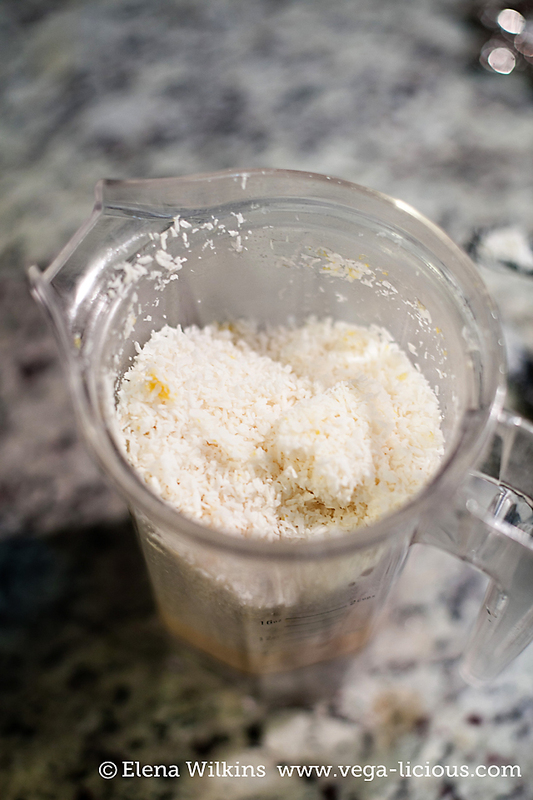 While coconut flakes do have higher fat content than you would normally want to allow in your daily diet, unless you eat them regularly or/and have serious health issues, you should be able to enjoy ’em every now and then. Not to forget that coconut is a natural food! 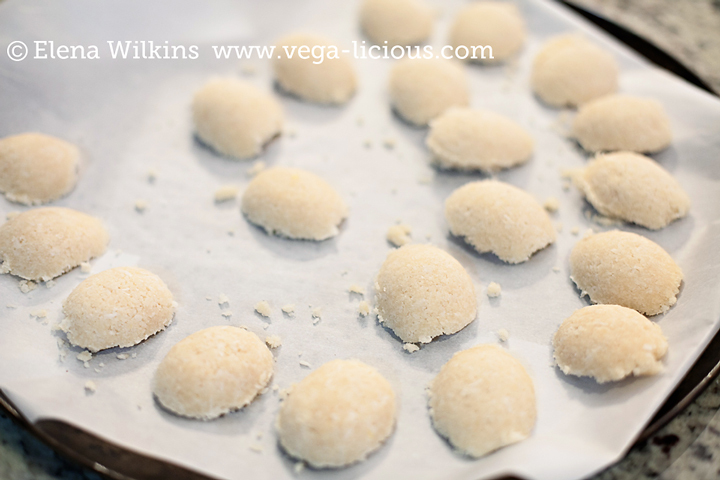 The creation process is fun and simple too–all you need is a measuring spoon and willing fingers to fill it, shape macaroons, then empty it out onto the baking sheet. 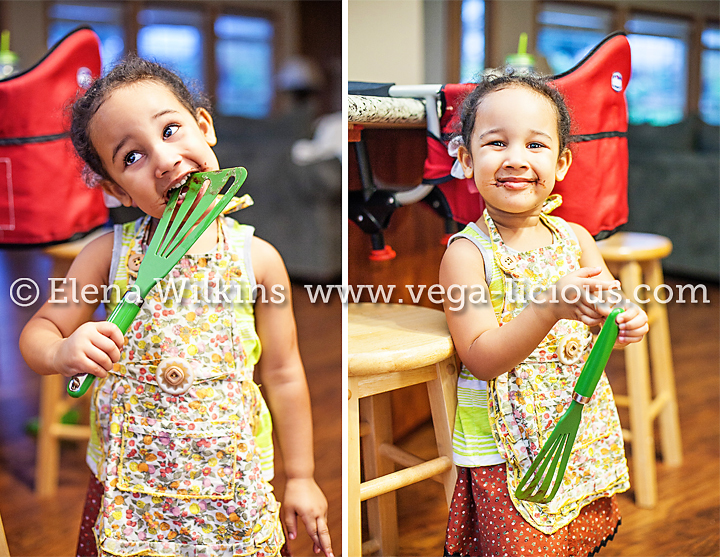 Even a non-baker can do it, and the activity, once again, is absolutely fun for the kiddos. 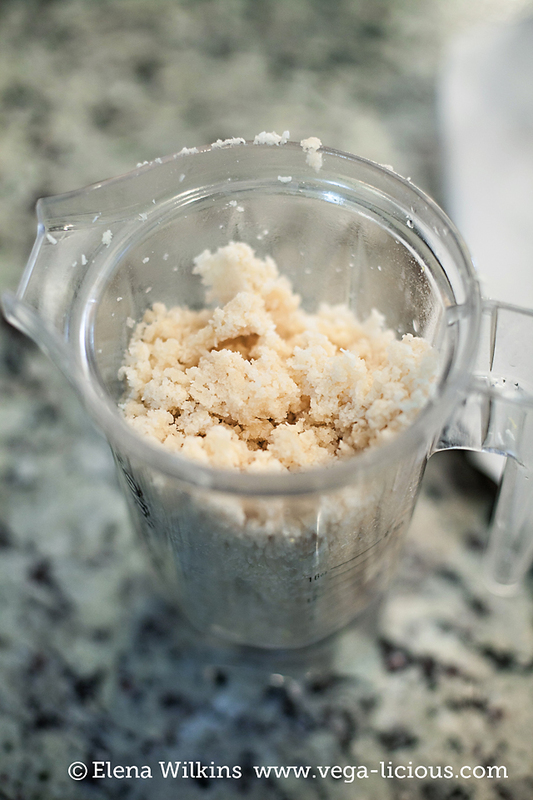 Baking macaroons takes mere 6-8 minutes! That’s it! Now, that’s what I call an easy recipe! Dark chocolate… Where can I start with that? While I am not a huge dessert lover, every now and then I like a bite of it. However, a bar of chocolate, if I ever buy it, will last be about 2-3 weeks, and sometimes longer. Sprout, however, is a different story. 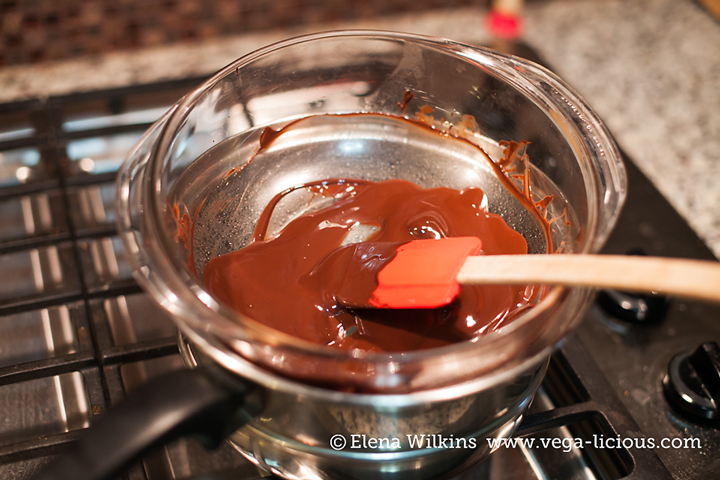 If I let that girl have access to dark chocolate, she would find it hard to stop eating it…so, I don’t :). That makes macaroon making that much more fun for her. Just look at her face. “More, Mommy, more!” She kept asking and signing while we were baking. Thankfully, by the time I finished making the entire batch of macaroons, Sprout was getting full, and even told me that she was “tired of macaroons”. Too cute, I know! The finished product is worth admiring. But even more so, it is worth enjoying. 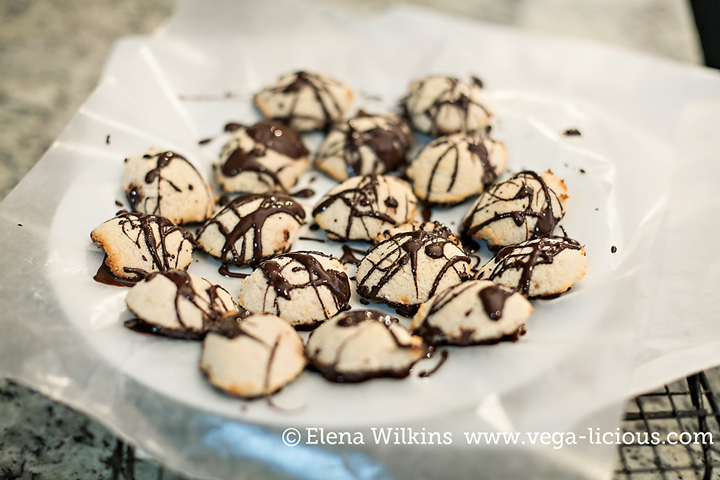 A plant based spin on macaroons. 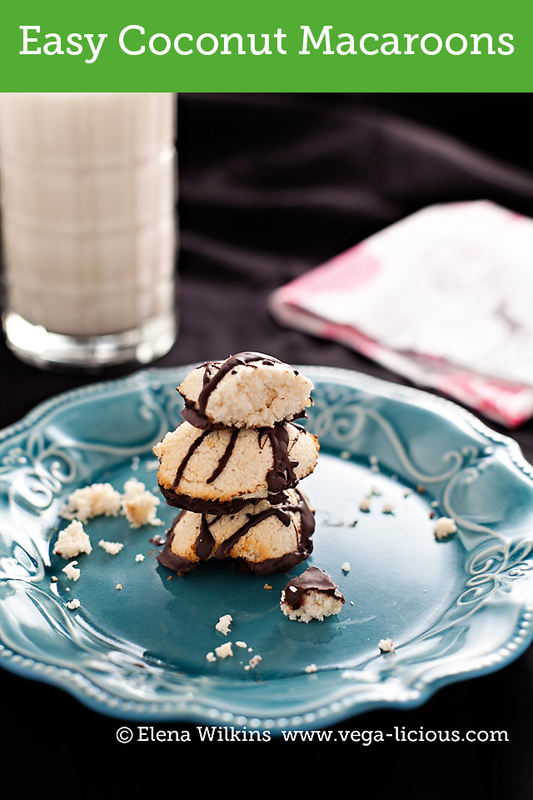 With only 6 simple ingredients, these macaroons will quickly become your family's favorite dessert. I like my macaroon with more of flavor contrast, so that they make my taste buds sing, so, instead of 1 tbsp of fresh lemon juice, I use 2, and instead of 3 tbsp honey, I use 4. Let me know if you make these, and what other kid and parent friendly recipes you would like for me to healthify and simplify for you.